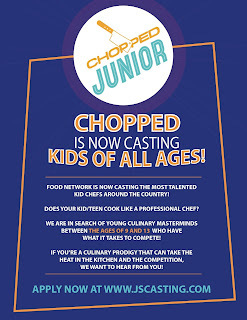 What a surprise I just got from my friend Daniel Waldman, he just posted to watch his daughter Amandine on the Food Network’s Chopped Junior, Tuesday, September 6th at 8pm ET/PT. Things started to make sense to me – I had mentored Amandine back in March on knife skills, taste and flavor just thinking she wanted to learn more about cooking, she loves to cook with her dad. But I digress. Daniel just explained what he could, which is very limited until the show airs. 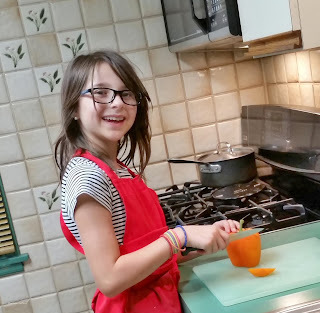 He said Amandine; his perky, petite powerhouse of a nine year old wanted to compete on Chopped Junior, and what parent can deny their child an opportunity--- so they let her apply. 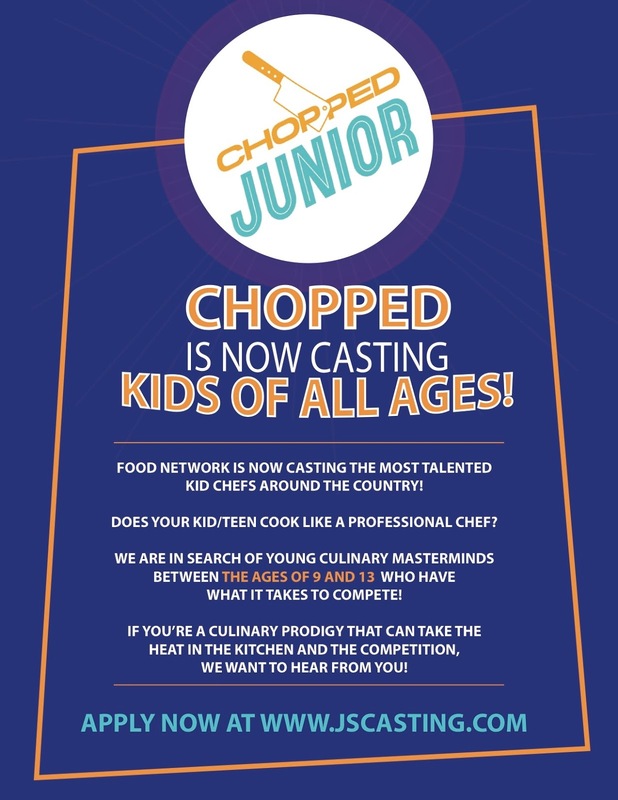 If you haven’t watched the Food Network’s Chopped or Chopped Junior, it is a culinary competition where 4 contestants are given mystery baskets of ingredients and 30 minutes to make a cohesive dish in 3 rounds; an appetizer, a main course and a dessert. 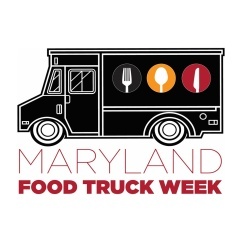 After each round is completed, a culinary panel of judges determines whose dish didn’t make it and the contestant is “chopped.” At the end, one contestant remains standing, earning the $10,000 prize. Just recently, Thrillist published an article on behind the scenes factoids on Chopped and Chopped Junior, i.e., each episode takes 12 hours to film or how complex it is planning the mystery baskets. 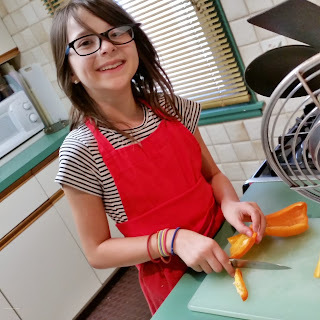 If you have watched Chopped, the adult version, you recognized the stress level the contestants endure – now imagine a nine year old dealing with the anxiety of the competition: fast paced kitchen, accidents, and that nasty word, failure. Daniel and I always talk food, eating, cooking and eating some more. During the 2016 January blizzard he popped up to my house to shovel my driveway while I was sequestered in St. Joseph Hospital with a critically ill husband. In return of the magnanimous gesture, I suggested for him to bring his daughter over and I would teach her some knife skills, techniques ---it was the least I could do. 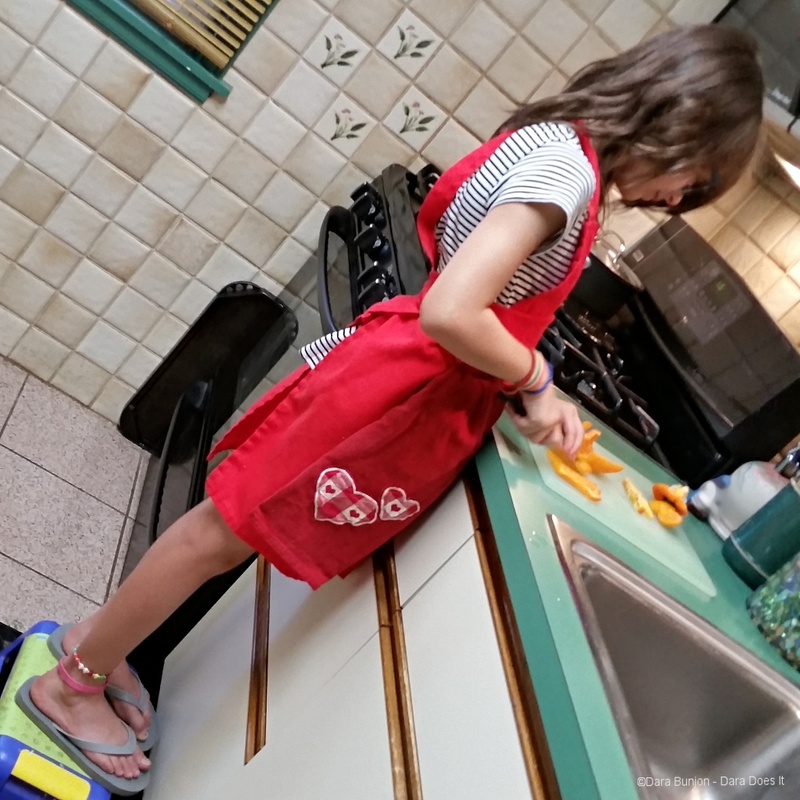 My mentoring session had Amandine arrive in my kitchen with dad in tow and her step stool so she could reach the countertop. I set out to see her knife skills, teaching her how to cut peppers from the inside, to get a dice from an onion, how to clean and broil asparagus seasoned with salt, sugar and finished with olive oil and grated citrus rind (Shirley Corriher’s recipe). We moved onto how seasonings and fats affect and carry taste. To that end, I boiled chicken and Amandine tasted the plain broth, it tasted like chicken – then I added salt to the broth and the flavor popped, then butter-the fat that made the flavor last longer and linger on the tongue and then a splash of lemon to that broth to brighten the flavor. We talked texture, adding crunch – we talked color, adding fresh herbs. It was a fun afternoon, I love sharing my culinary knowledge to anyone who will listen. 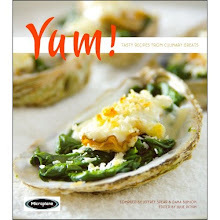 I emphasized to taste ingredients before adding them to a dish. Not all vinegars or oils are the same. Both dad and she tasted about 15 varying vinegars that I keep in my cabinet from the likes of red wine vinegar, malt vinegar, purple sweet potato vinegar, rice wine vinegar, chocolate vinegar and more. Amandine’s mom, Marie, is French and the family has decided to move to Nantes, France. The family went about 3 weeks ago and dad remained in Baltimore until this past week to wrap up the odds and ends one has when moving. Daniel informed me while he remained here in Baltimore, that Amandine was cooking all the meals for the family until he was to join them in Nantes. Now a big One Zero (10), Amandine, is in the double digits, indulging in all that is fresh from the open air markets and the Loire River in the Upper Brittany region of Western France – now there is a mystery basket I would like to taste. Be sure to tune into the Food Network’s Chopped Junior, Tuesday, September 6 at 8pm ET/PT and cheer on Amandine. 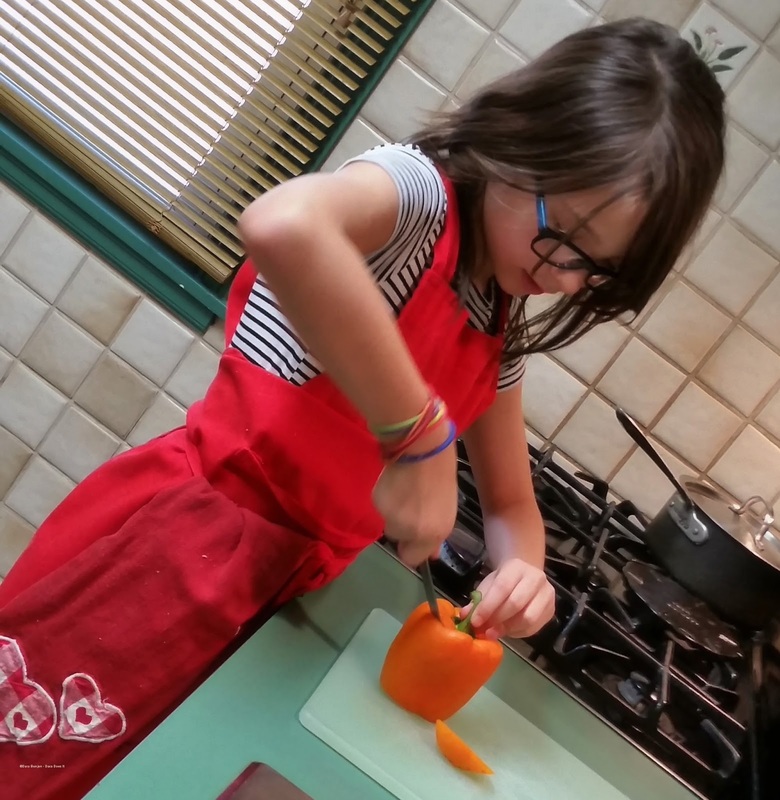 I can’t wait to see how my powerhouse of a mentee fairs – can you imagine nine years old. I was barely coloring inside the lines at that age. How would you fare in the Chopped kitchen, check out host Ted Allen’s video tour of the Chopped Junior kitchen?